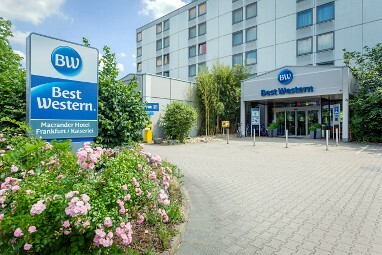 Homepage > Hotels in Offenbach > Best Western Macrander Hotel. 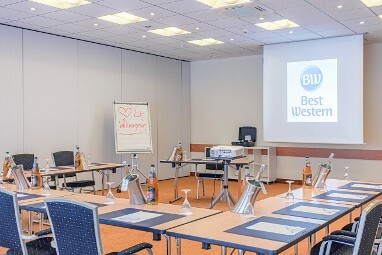 The four stars business hotel Best Western Macrander Hotel Frankfurt/Kaiserlei welcome his guests in an elegant ambience. 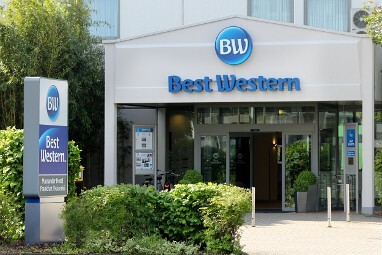 The 127 exclusive and tastefully furnished rooms are permitting a pleasant stay. 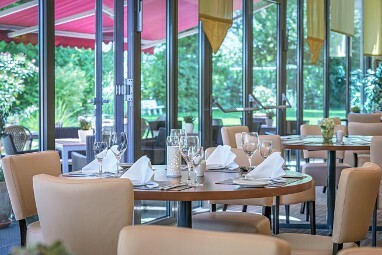 Guests can be indulged in the “stephans restaurant” with international fancy foods which can also be enjoyed in the garden “Oase am Kaiserlei”. 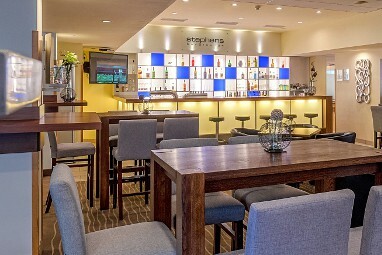 Meeting Point is stephans bar&lounge. 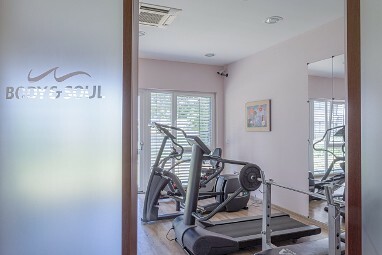 The spa body&soul™ including sauna, infrared cabin and fitness area is perfect for relaxation and recreation. 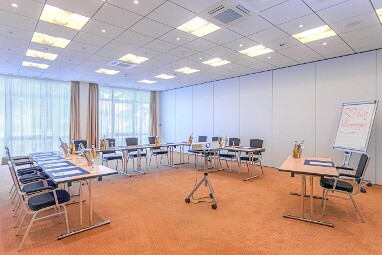 Our 8 club rooms (20 qm) are located on a separate executive floor with snacks. They are accentuated with cherry-wood are endued with parquet flooring and contain a 49 Inch flat-TV including Sky-TV, safe, air condition, wireless LAN, even a nespresso coffee- machine for ambitious wallowers. The comfortable king-size beds submit a recreative sleep so that you can start up in a new successful day. An illuminated makeup mirror, scale, integrated radio and a functionally iron station are only several amenities of the luxurious arranged bathroom. The fully automated climate-controle is arranged with individually adjustment, so that you can choose your own feeling fine climate at any time. Our 22 qm² sized comfort rooms that are lain to the street or garden side disposes of wide and superlative mattresses. 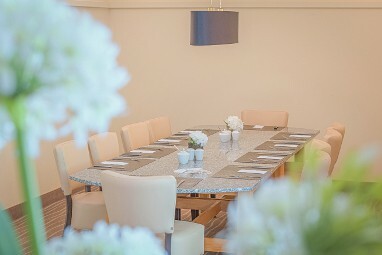 A large writing desk characterizes the hotel room that is held in a beechwood design. 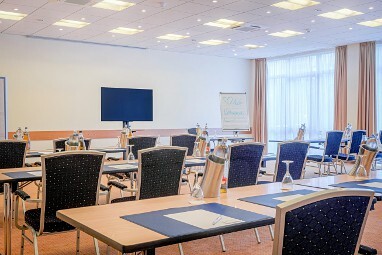 A flat-TV that includes Sat- and sky TV provides entertainment and the available wireless LAN connection guarantees uncomplicated access into the internet. 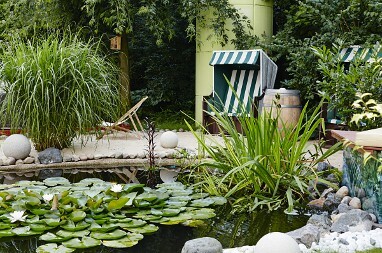 For short breaks in a quiet moment you can use the coffee and tea station that is free of charge. The functional equipped bathroom decrees a hair-dryer and a cosmetical mirror plus a large-sized bath-shower tub. 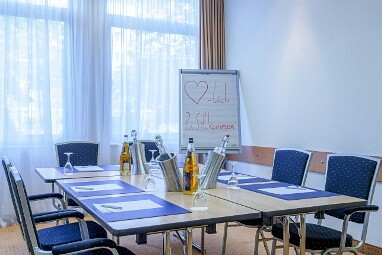 Our 22 qm² sized business rooms additionally provide over safe, air condition, Senseo coffeemachine and Bathrobe. 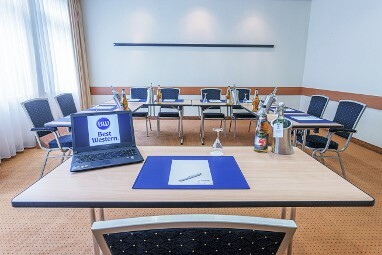 Furthermore Guests receive a 10,-€ credit per day for the bar or Restaurant. Enjoy international food in our comfy restaurant. 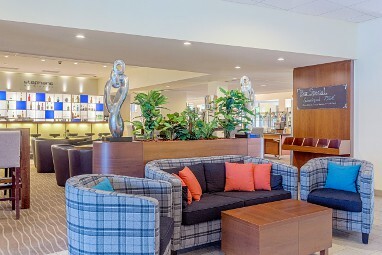 After that you can have a drink at "stephans bar&lounge" in a great chill out atmosphere. 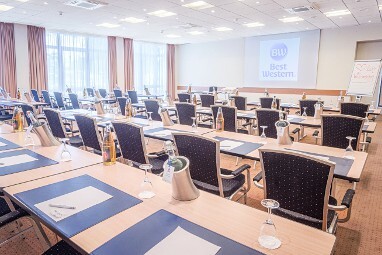 For your events or meetings we offer 7 modern divisible conference rooms with modern technology for up to 200 persons. 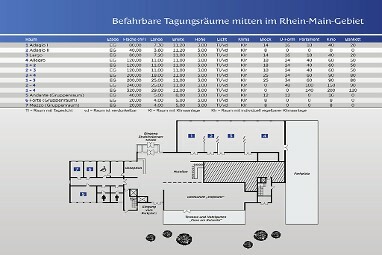 The rooms can be blacked out and are all air-conditioned. 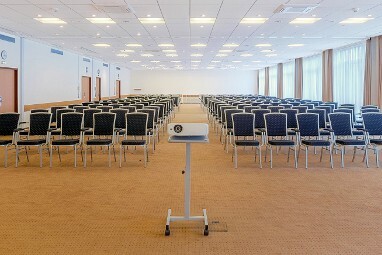 The room Allegro is accessible and offers space for any kind of presentation. Call 069/ 153 400 444 for further information. We are pleased to organize you an interesting frame program to your needs and wishes. 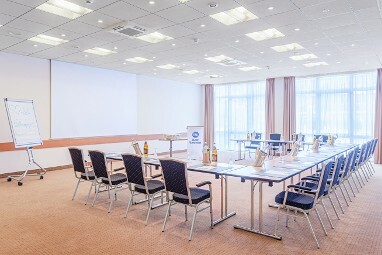 Complete your meeting or conference with different fun & team building activities! We can offer you an adventurous high ropes course - only about 25 min from our hotel . 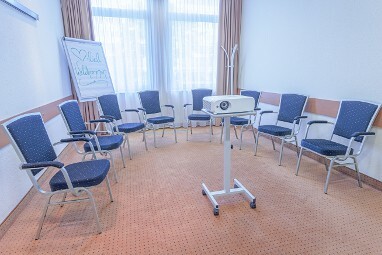 There you have trainings in the different levels Easy, Basic or Upper Level meanwhile helping your team to improve their contact and communication abilities and to increase everybody`s self-confidence. 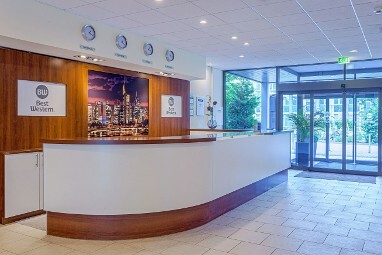 central located between Frankfurt and Offenbach at the Kaiserlei-roundabout. From the A661 take the exit Offenbach Kaiserlei.